Celebrating excellence in Georgia high school musical theater. Now streaming on GPB.org. Teya Ryan has built a career in the broadcast media world that includes such venerable names as PBS, CNN and now, GPB Media. 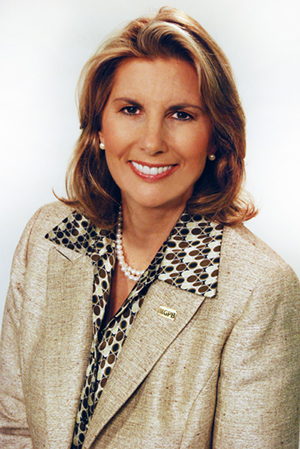 Ms. Ryan was named President and CEO of GPB Media in March of 2009. Currently, GPB Media is the fourth largest public broadcasting system in the country, producing and delivering content throughout the state of Georgia through nine television stations, eighteen radio stations, an education division and a robust website. Ms. Ryan brings a wealth of experience to GPB Media, including roles in broadcast management, production and content creation. She began her career at public broadcasting station KCET-TV in Los Angeles. From there, Ms. Ryan worked in a variety of roles for cable networks CNN and TBS before serving as Executive Vice President of CNN/US, CNN Headline News and CNN fn, where she was in charge of all network programming, daily editorial, breaking news, and on-air graphic and new program development. She also helped to develop sales and marketing strategies for the networks. Ms. Ryan’s additional career accomplishments also include consulting for PBS on the design of a new digital cable network, Public Square, which launched in 2006. Most recently, before joining GPB, Ms. Ryan led her own multi-platform media company, where she produced cable programming, theatrical films and children’s programming. A graduate of the University of California, Berkeley, Ms. Ryan has won multiple awards, including seven Emmys and four Cable Ace Awards, and she was named one of the ten most powerful women in media by Crain Media in 2002. Ryan is also the recipient of the 2012 POW Award for achievement in business from Womenetics. In 2018, Ms. Ryan was honored as one of Atlanta Magazine’s “Women Making a Mark,” as well as to the magazine’s list of “The Atlanta 500,” as one of the city’s most influential business leaders. Atlanta Business Chronicle also recognized her as one of its Most Admired CEOs. Her professional affiliations and civic involvement include serving as a board member for Oxfam America, an organization that works globally to eradicate poverty; serving as a vice president and founding member of The Society for Environmental Journalists; serving as vice president of the board for LEAD International, a non-profit organization supported by the Rockefeller Foundation that is designed to educate emerging business leaders from around the world in sustainable development; serving as vice president of the board for the Verde Valley School, a secondary school in Sedona, Arizona; and being active with Women in Film and The Women’s Leadership Forum. Ryan is also a member of the Downtown Atlanta Rotary and serves on the board of GEEARS, Georgia Early Education Alliance for Ready Students; Woodruff Arts Center; Georgia Governor’s Digital Task Force, Georgia’s SHAPE Council. She is alo the co-chair of the Georgia Literacy Commission and Advisory Committee and a member of the Board of Councilors of the Carter Center.